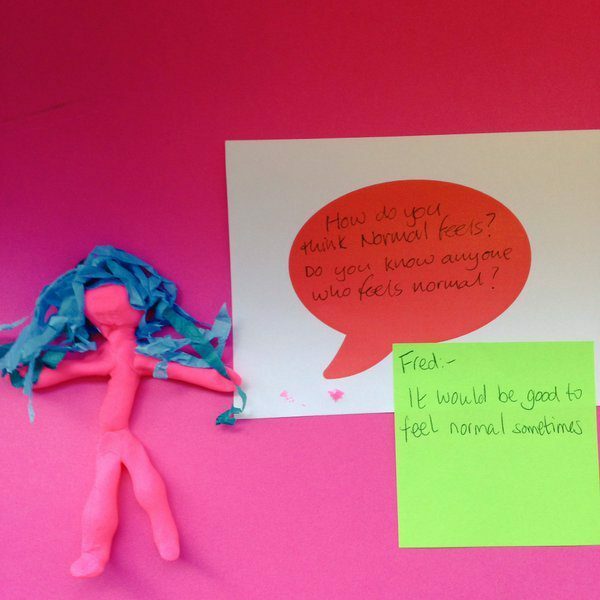 At our ‘Mental Health and Wellbeing in Schools’ conference earlier this month we hosted an Aye Mind gif-making workshop. 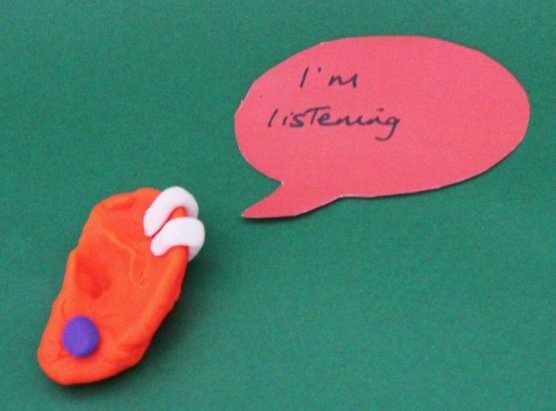 As some of you will have noticed from the event twitter feed #mentalhealthinschools the interactive session really engaged delegates and provided them with a different way of learning and thinking about how to involve young people in mental health discussions. 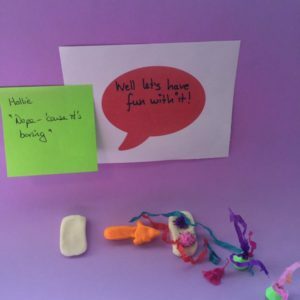 As part of our ongoing conversations around ‘Education and Child Welfare’ and ‘User-focused public services’, Charlotte Fountaine – who leads the online campaign side of Aye Mind – explains how you can run a mini Aye Mind image workshop at your next training event. 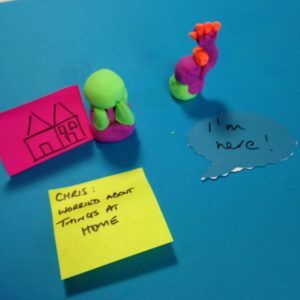 The workshop aims to show participants fun, simple ways to engage young people in creating mental wellbeing messages and images that they can share with their peers – all with the aim of encouraging young people to engage-in and open-up to discussions around mental health and wellbeing. Before the workshop starts set up the room by hanging the printed prompts and have all the equipment to make images to hand. Let the participants know what the plan is for the workshop. 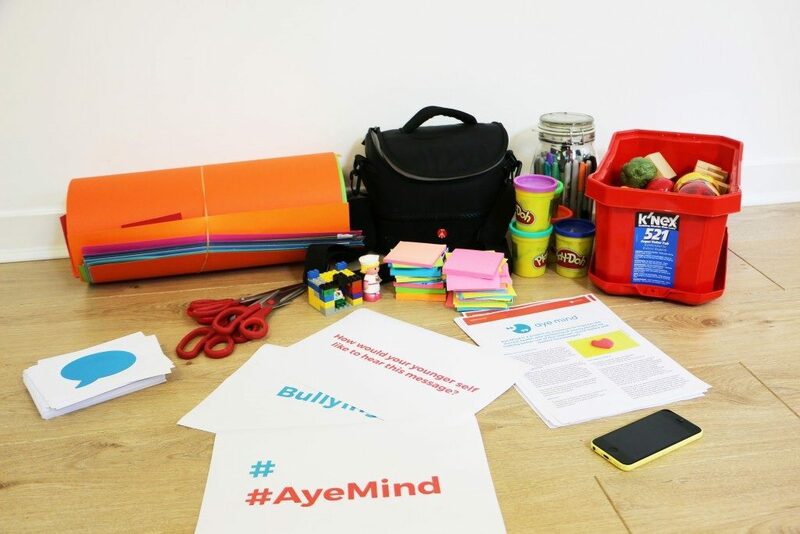 Talk about Aye Mind’s aims, background, the digital toolkit, the young people’s manifesto and the young people’s gifs. Ask the audience to stand around one wall with post-it notes at the ready. As quickly as possible the workshop participants have to come up with as many mini personas as they can. 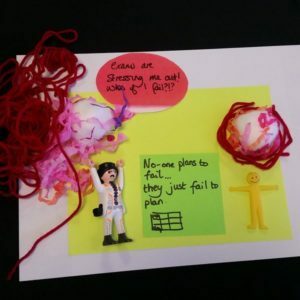 They simply jot down a name and a quote on the post-it notes. 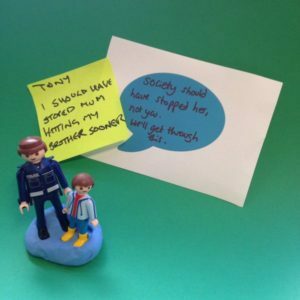 They can base the quotes on young people they have spoken to, who may have lived experience of mental health issues. Remember the prompt topics and questions – ‘o​nline trolls’, ‘depression’, ‘eating’ etc. – if people are stuck. 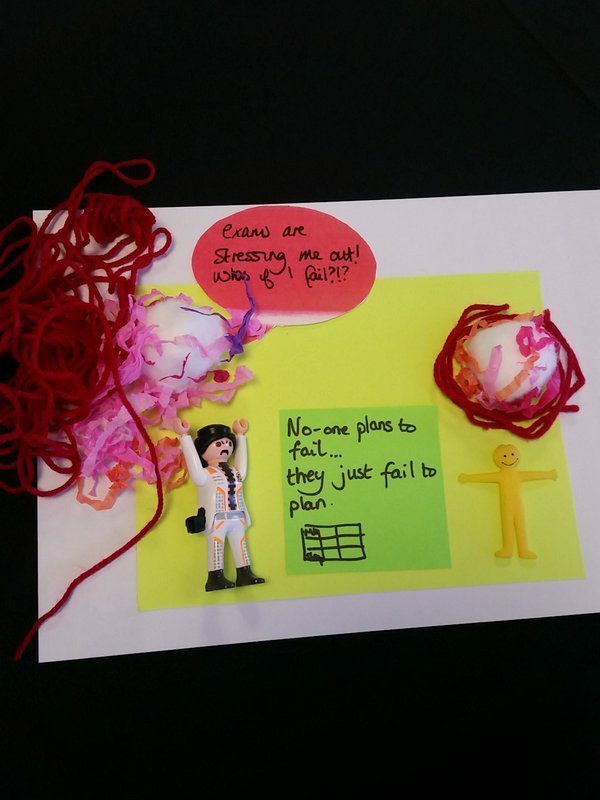 Examples from previous workshops: ‘I want to, but I can’t find the motivation today’ (Pete). 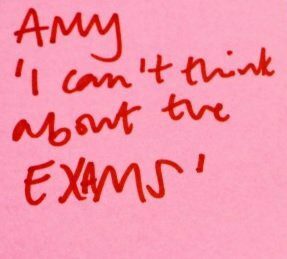 ‘I can’t think about the exams’ (Amy). 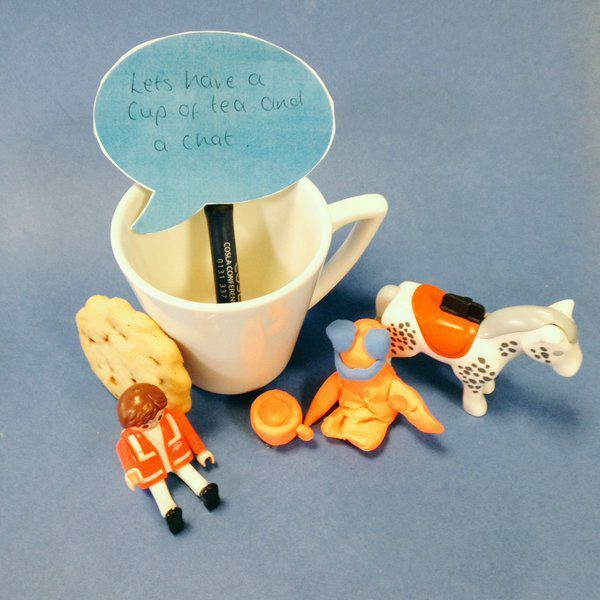 Ask participants to arrange themselves into small groups of 5 people. 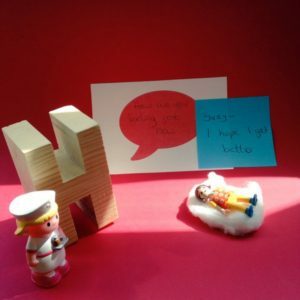 In those groups they can grab lots of mini personas (young people quotes) and generate messages to them. 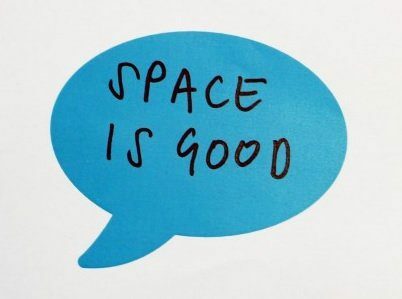 The messages can be questions, responses or ‘feel good’ messages written in the mini speech bubbles. 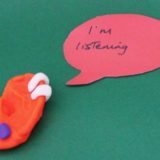 Examples from previous workshops: ‘Space is good’, ‘I’m listening’. 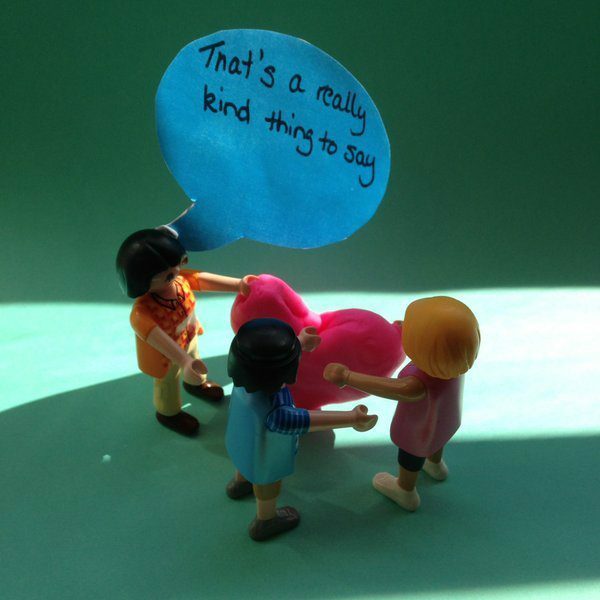 Ask participants to choose the best messages they came up with and use them to make a fun image. 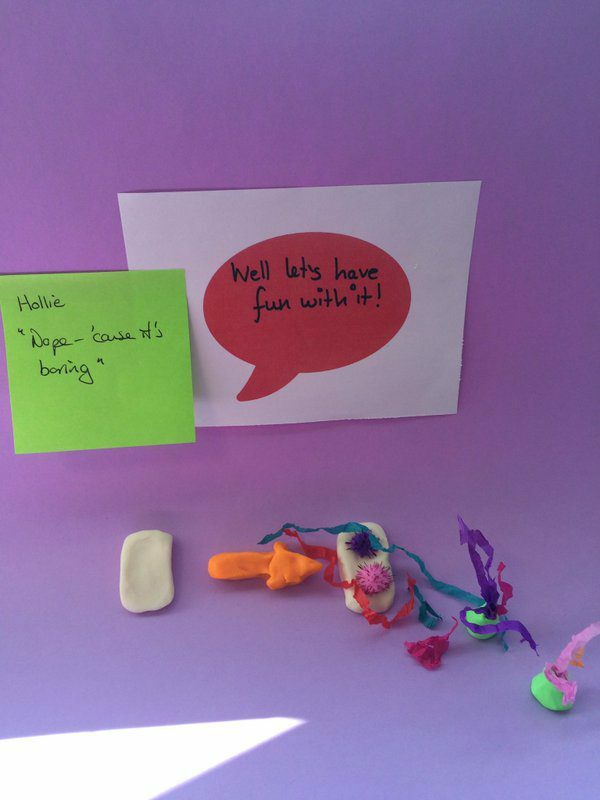 They can grab prototyping equipment (play-doh, lego etc) and set up an image with their speech bubble on the large, bright paper back drop. 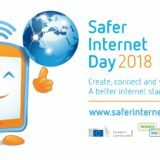 They can take an image on their phone and post to social media. 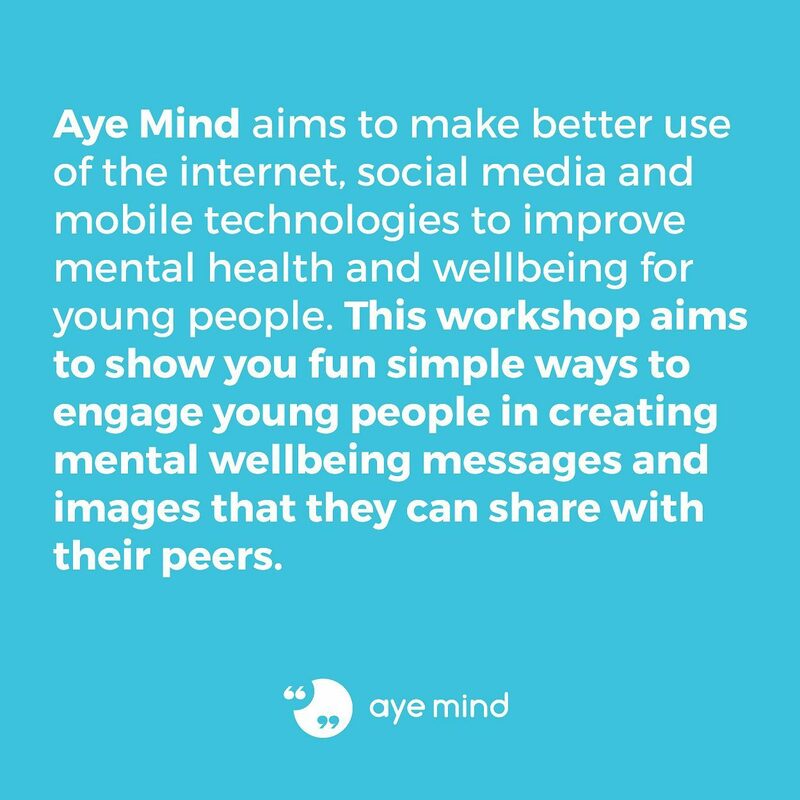 Encourage them to use the hashtag #AyeMind and the workshop #. 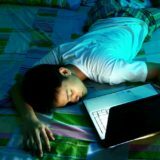 The timing of the workshop can be adjusted in accordance with how much time you have. Charlotte specialises in co-design campaigns online and offline for young people at Snook design agency. 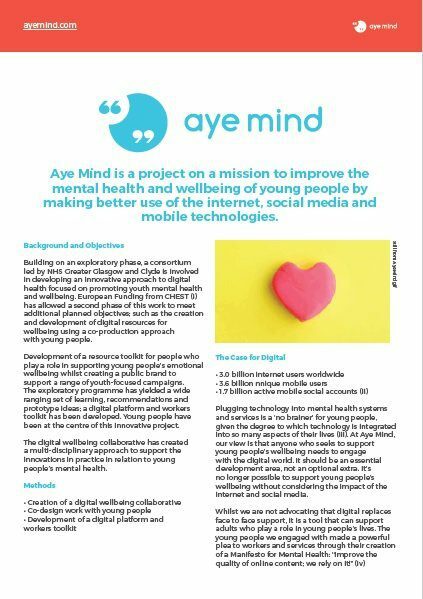 Charlotte has been leading the online campaign side of Aye Mind, a project on a mission to improve the mental well-being of 13 to 21 year olds by making better use of the internet, social media and mobile technologies. She has developed a series of gifs with young people that allow them to express their mental well-being messages to their friends online.